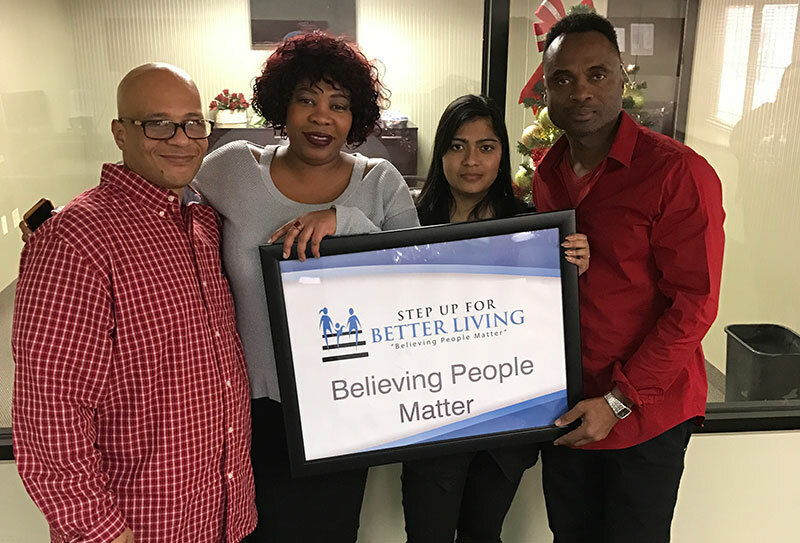 Step Up For Better Living provides a full array of social services and referrals for over 200 South Bronx families and seniors living in low-income housing. We work on an individual level to develop skills for successful independent living as part of a safe, healthy community. -Assistance applying for the following programs/services. programs, senior programs, and more. We assist clients that need access to mental health services. This includes assisting clients to schedule and maintain appointments with their mental health provider. Clients that need to access mental health care will be referred to mental health services which include but are not limited to Outpatient Counseling, Inpatient Hospital Treatment, Intensive Case Management, Medication Management, Emergency/Crisis Services. We assist clients that are in a crisis by providing support services which minimize stress and which maximize the Individual’s ability to cope with the crisis. Clients are encouraged to seek support from their network of friends and family, and to discover alternative problem-solving strategies. We also assist clients by scheduling ongoing sessions to address crises with family, friends, or others. We assist clients to increase their access to medical care and to help them stay as healthy as possible. Project staff assist people with HIV by addressing their immediate concerns and connecting them with medical case management services, counseling, education, and access to medical care appointments. We refer clients who are at risk of or facing eviction to agencies that offer eviction prevention services. We assist clients to obtain appointments for rental assistance, complete applications for One-Shot deals and other rental subsidies that help to prevent evictions. We also follow up with landlords and Legal Aid to advocate and to ensure the client is receiving the help needed to avoid eviction. We assist clients that are having difficulties managing their budgets. Clients receive assistance developing a monthly budget plan so that they can see how their money is spent. We also assist clients by teaching them the basics of comparison shopping. Ultimately our aim is to empower clients with the tools and support they need to learn better money management skills and to become better consumers. We assist clients that need to apply for rental subsidies. We also assist clients that receive rental subsidies to complete re-certifications. These include clients that need or receive Section 8, HIV-AIDS Service Administration (HASA), Senior Citizen Rent Increase Exemptions (SCRIE) and Disability Rent Increase Exemptions (DRIE). We assist clients to fill out and submit housing applications and re-certifications for their respective subsidies. We also assist clients to obtain all pertinent documents to be submitted. We assist people to engage in negotiation and mediation to resolve tenant disputes. We do this by creating an environment where tenants that have disputes/conflicts can come together to discuss their differences. The aim of mediation is to clarify differences between the tenants, and to develop solutions that are agreeable to both tenants. We ultimately assist them to find solutions that will not put them nor their housing in jeopardy. Community Resources in your neighborhood.